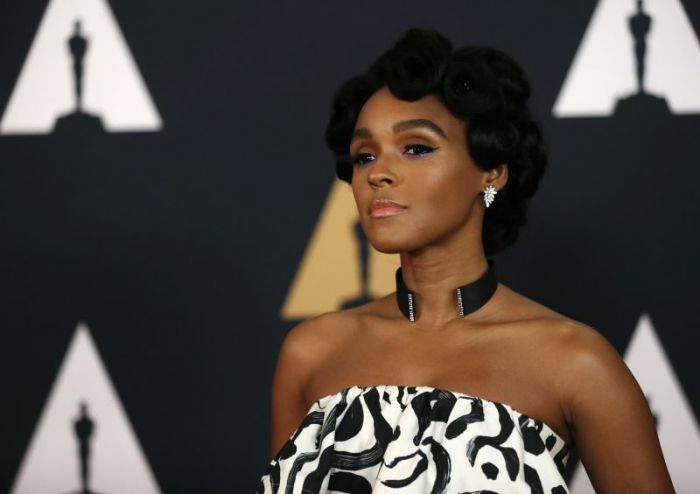 R&B singing sensation Janelle Monae recently shared a childhood memory of church when she belted out a Michael Jackson song as the spirit of God was in action. In an appearance on "Conan" on Monday, Monae recalled one Sunday when her pastor was delivering a fiery sermon and, as is the culture of some churches, the preacher engaged in a "call and response," when a pastor "calls" to the congregation and awaits an affirmative "response." "When I was probably five, or I don't even know how old I was, but my aunt used to take me to church with her," she told Conan O'Brien. "There was a moment where our pastor was just so in the spirit and felt the Holy Spirit." In the fire of the moment, the preacher called out to the congregation, awaiting their response. Monae's reply? Lyrics from the Michael Jackson 1982 hit, "Beat It." She sang, "Just beat it, beat it. No one wants to be defeated ... "
The 31-year-old chanteuse has been singing ever since. She has showcased her talents not only on the musical stage, but on the silver screen. This year alone she has starred in two Oscar-nominated films, "Moonlight" and "Hidden Figures." Monae and costars of "Hidden Figures" have traveled the country offering free screenings of the film to educate students, and to encourage young girls to become more involved in science, technology, engineering and math, or S.T.E.M. The actors have also worked to increase accessibility to the film for low-income families and individuals, buying out entire showings at select theaters, and distributing the tickets at Taraji P. Henson in Chicago, Illinois, and Octavia Spencer in Los Angeles, California, according to Entertainment Weekly. Monae shared that she has a fascination with space and has been inspired by Dr. Mae Jemison, the first black woman in space, and filmmakers George Lucas, and Steven Spielberg. Her love of space has greatly influenced her music. In 2012, the singer and model became a CoverGirl spokeswoman. The following year, she released her second studio album The Electric Lady under the Bad Boy/Atlantic record label. The album was well-received by critics.